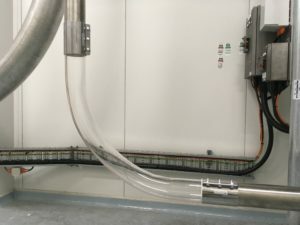 The new Eurac Borosilicate Sight Glass Pipes and Wear Resistant Bends, Glass Tube and Viewing Pipes come in a wide range of diameters. 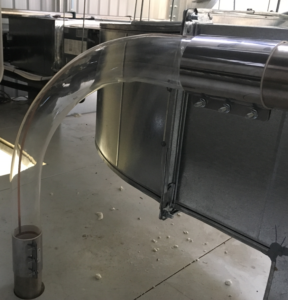 The transparency of the borosilicate glass allows simple visual checks of the material flowing through the pipes or bends. 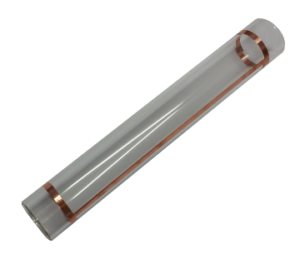 With Electrostatic Protection from its Copper Conductive Strip and Food Grade properties (think Pyrex Glass) they are well suited to a large range of products. Borosilicate Glass has up to 10 times the abrasion resistance of Stainless Steel. Available in multiple tube and pipe diameters including 38, 40, 45, 50, 60, 63.5, 65, 70, 76, 80, 84, 88.9, 101.6, 104 and 114mm. Available in Straight Lengths, 45 Deg Bends or 90 Deg Bends. Industrially known as Spy Pipes, Sight Glass, See through pipes, Inspection pipes, Toughened glass bends and Inspection sections. 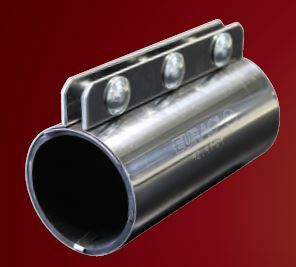 Filquip is an Australian distributor for Eurac clamps for pipe and tube. Sizing from 38.1mm to 300mm in diameter. Suitable for all pneumatic and vacuum conveying operations. Available in Galvanised steel with Stainless Steel contact parts or in full Stainless Steel. NBR seals supplied as standard, other options includes FDA approved food grade, Viton and Silicon seals. Designed to directly fit all sizes of Borosilicate Sight Glass Pipes and Glass wear bends. Available in Light Duty, Medium Duty and Heavy Duty configurations. Available with side bar clamps as option extra.